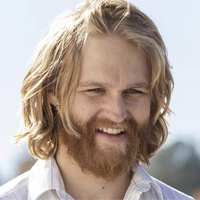 Showing 1 - 8 of 8 articles tagged "Lodge 49"
Superstore and Lodge 49 are two shows that "seemingly have nothing in common but, also, everything in common"
The NBC comedy and the AMC drama both tackle the flaws with capitalism. AMC's on-demand streaming service will have all 10 episodes available starting Monday, the day of its premiere on AMC. AMC says that following the events of Season 3, Season 4 "catalyzes Jimmy McGill’s transformation into Saul Goodman.